During penetration testing exercises, the ability to make a victim connect to an attacker’s controlled host provides an interesting approach for compromising systems. Such connections could be a consequence of tricking a victim into connecting to us (yes, we act as the attackers ;) ) by means of a Phishing email or, by means of different techniques with the goal of redirecting traffic (e.g. ARP Poisoning, IPv6 SLAAC, etc.). In both situations, the attacker will have a connection coming from the victim that he can play with. In particular, we will cover our implementation of an attack that involves using victims’ connections in a way that would allow the attacker to impersonate them against a target server of his choice - assuming the underlying authentication protocol used is NT LAN Manager (NTLM). The oldest implementation of this type of attack, previously called SMB Relay, goes back to 2001 by Sir Dystic of Cult of The Dead Cow- who only focused on SMB connections – although, he used nice tricks especially when launched from Windows machines where some ports are locked by the kernel. I won’t go into details on how this attack works, since there is a lot of literature about it (e.g. here) and an endless number of implementations (e.g. here and here). However, it is important to highlight that this attack is not related to a specific application layer protocol (e.g. SMB) but is in fact an issue with the NT LAN Manager Authentication Protocol (defined here). Relay Credentials to the victim machine (a.k.a. Credential Reflection): In theory, fixed by Microsoft starting with MS08-068 and then extended to other protocols. There is an interesting thread here that attempts to cover this topic. Relay Credentials to a third-party host (a.k.a. Credential Relaying): Still widely used, with no specific patch available since this is basically an authentication protocol flaw. There are effective workarounds that could help against this issue (e.g. packet signing) only if the network protocol used supports it. There were, however, some attacks against this protection as well (e.g. CVE-2015-0005). I won’t go into details on the specific attacks that can be done, since again, there are already excellent explanations out there (e.g. here and here ). Something important to mention here is that the original use case for ntlmrelayx.py was basically a one-shot attack, meaning that whenever we could catch a connection, an action (or attack) would be triggered using the successfully relayed authentication data (e.g. create a user through LDAP, download a specific HTTP page, etc.). Nevertheless, amazing attacks were implemented as part of this approach (e.g. ACL privilege escalation as explained here). Also, initially, most of the attacks only worked for those credentials that had Administrative privileges, although over time we realized there were more possible use cases targeting regular users. These two things, along with an excellent presentation at DEFCON 20 motivated me into extending the use cases into something different. When you’re attacking networks, if you can intercept a connection or attract a victim to you, you really want to take full advantage of it, regardless of the privileges of that victim’s account. The higher the better of course, but you never know the attack paths to your objectives until you test different approaches. We always start with a victim connecting to any of our Relay Servers which are servers that implement support for NTLM as the authentication mechanism. At the moment, we have two Relay Servers, one for HTTP/s and another one for SMB (v1 and v2+), although there could be more (e.g. RPC, LDAP, etc.). These servers know little about both the victim and target. The most important part of these servers is to implement a specific application layer protocol (in the context of a server) and engage the victim into the NTLM Authentication process. Once the victim took the bait, the Relay Servers look for a suitable Relay Protocol Client based on the protocol we want to relay credentials to at the target machines (e.g. MSSQL). Let’s say a victim connects to our HTTP Server Relay Server and we want to relay his credentials to the target’s MSSQL service (HTTP->MSSQL). For that to happen, there should be a MSSQL Relay Protocol Client that could establish the communication with the target and relay the credentials obtained by the Relay Server. If ntlmrelayx.py is running configured to run one-shot actions, the Relay Server will search for the corresponding Protocol Attack plugin that implements the static attacks offered by the tool. If ntlmrelayx.py is running configured with -socks, not action will be taken, and the authenticated sessions will be hold active, so it can later on be used and reused through a SOCKS proxy. SOCKS Server: A SOCKS 4/5 Server that holds all the sessions and serves them to SOCKS clients. It also tries these sessions to be kept up even if not used. In order to do that, a keepAlive method on every session is called from time to time. This keepalive mechanism is bound to the particular protocol connection relayed (e.g. this is what we do for SMB ). SOCKS Relay Plugin: When a SOCKS client connects to the SOCKS Server, there are some tricks we will need to apply. Since we’re holding connections that are already established (sessions), we will need to trick the SOCKS client that an authentication is happening when, in fact, it’s not. 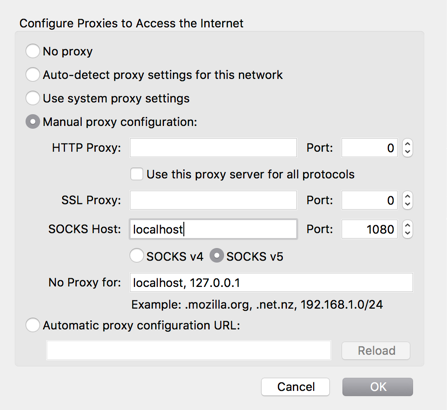 The SOCKS server will also need to know not only the target server the SOCKS client wants to connect against but also the username, so it can verify whether or not there’s an active session for it. If so, then it will need to answer the SOCKS client back successfully (or not) and then tunnel the client thru the session's connection. Finally, whenever the SOCKS client closes the session (which we don’t really want to do since we want to keep these sessions active) we would need to fake those calls as well. Since all these tasks are protocol specific, we’ve created a plugins scheme that would let contributors add more protocols that would run through SOCKS (e.g. Exchange Web Services?). We’re currently supporting tunneling connections through SOCKS for SMB, MSSQL, SMTP, IMAP/S, HTTP/S. With all this information being described, let’s get into some hands-on examples. The best way to understand all of this is through examples, so let’s get to playing with ntlmrelayx.py. First thing you should do is install the latest impacket. I usually play with the dev version but if you want to stay on the safe side, we tagged a new version a few weeks ago. Something important to have in mind (especially for Kali users), is that you have to be sure there is no previous impacket version installed since sometimes the new one will get installed at a different directory and the old one will still be loaded first (check this for help). Always be sure, whenever you run any of the examples that the version banner shown matches the latest version installed. For example, if we specify the target as mssql://10.1.2.10:6969, every time we get a victim connecting to our Relay Servers, ntlmrelayx.py will relay the authentication data to the MSSQL service (port 6969) at the target 10.1.2.10. There’s a special case for all://10.1.2.10. If you specify that target, ntlmrelayx.py will expand that target based on the amount of Protocol Client Plugins available. As of today, that target will get expanded to ‘smb://’, ‘mssql://’, ‘http://’, ‘https://’, ‘imap://’, ‘imaps://’, ‘ldap://’, ‘ldaps://’ and ‘smtp://’, meaning that for every victim connecting to us, each credential will be relayed to those destinations (we will need a victim’s connection for each destination). [*] Protocol Client SMTP loaded..
[*] Protocol Client SMB loaded..
[*] Protocol Client LDAP loaded..
[*] Protocol Client LDAPS loaded..
[*] Protocol Client HTTP loaded..
[*] Protocol Client HTTPS loaded..
[*] Protocol Client MSSQL loaded..
[*] Protocol Client IMAPS loaded..
[*] Protocol Client IMAP loaded..
[*] IMAP Socks Plugin loaded..
[*] IMAPS Socks Plugin loaded..
[*] SMTP Socks Plugin loaded..
[*] MSSQL Socks Plugin loaded..
[*] SMB Socks Plugin loaded..
[*] HTTP Socks Plugin loaded..
[*] HTTPS Socks Plugin loaded..
And then with the help of Responder, phishing emails sent or other tools, we wait for victims to connect. As can be seen, there are multiple active sessions impersonating different users against different targets/services. These are some of the targets/services specified initially to ntlmrelayx.py using the -tf parameter. When you’re asked for a password, just put whatever you want. As mentioned before, the SOCKS Relay Plugin that will handle the connection will fake the login process and then tunnel the original connection. [*] INFO(WIN7-A\SQLEXPRESS): Line 1: Changed database context to 'master'. [*] INFO(WIN7-A\SQLEXPRESS): Line 1: Changed language setting to us_english. I’ve tested other TDS clients as well successfully. As always, the most important thing is to specify correctly the domain/username information. It is important to specify Authentication method ‘Normal Password’ since that’s the mechanism the IMAP/s SOCKS Relay Plugin currently supports. Keep in mind, as mentioned before, this will be a fake authentication. Under Server Setting->Advanced you need to set the ‘Maximum number of server connections to cache’ to 1. This is very important otherwise Thunderbird will try to open several connections in parallel. You can even subscribe to other folders as well. 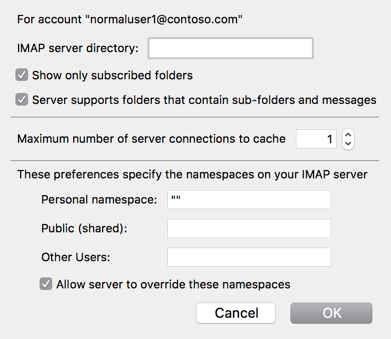 If you combine IMAP/s sessions with SMTP ones, you can fully impersonate the user’s mailbox. Only constrain I’ve observed is that there’s no way to keep alive a SMTP session. It will last for a fixed period of time that is configured through a group policy (default is 10 minutes). 0010   47 96 CC 79 1A C2 6E 14  44 A3 C1 9E 6D 7C 93 F3   G..y..n.D...m|..
From this point on, you probably don’t need to use the relayed credentials anymore. Hopefully this blog post gives some hints on what the SOCKS support in ntlmrealyx.py is all about. There are many things to test, and surely a lot of bugs to solve (there are known stability issues). But more important, there are still many protocols supporting NTLM that haven’t been fully explored! I’d love to get your feedback and as always, pull requests are welcomed. If you have questions or comments, feel free to reach out to me at @agsolino. Dirk-Jan Mollema (@_dirkjan) for his awesome job initially in ntlmrelayx.py and then all the modules and plugins contributed over time. Martin Gallo (@MartinGalloAr) for peer reviewing this blog post.